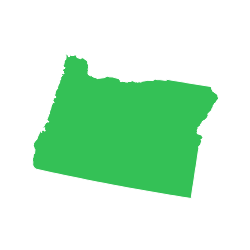 From Roseburg, OR, travel east on Highway 138 for approximately 60.5 miles. Turn right onto Forest Road 37 (Watson Falls) and follow for approximately 12 miles until reaching Forest Road 37-800. Turn right and continue until reaching Forest Road 870. Stay on Forest Road 870 for approximately 4 miles past the Rogue-Umpqua Divide Trailhead. The Happy Camp Trailhead is located at the intersection of the Rogue-Umpqua Divide Trail #1470 and the Castle Creek Trail #1576.